The Vans Hi Standard Series Tour Coming to Tahoe! Home » Adventure » The Vans Hi-Standard Series Tour Coming to Tahoe! The Vans Hi-Standard Series Tour Coming to Tahoe! March 16th, 2016 marked 50 years of Vans’ “Off The Wall” history in the action sports, art, music and lifestyle industry. If your life hasn’t been touched by the Vans revolution in the past 50 years and you are occupying space in the Tahoe Basin, you’re about to be provided with a convenient and cordial introduction via the Vans Hi-Standard Snow Series World Tour. On Saturday, March 19th, 2016, Vans celebrates their 50th year by making one of their international contest stops at our very own Sierra-at-Tahoe. This year the contest series kicked off on January 16th at Mount St-Louis in Ontario, maintaining strict guidelines to inspire style, creativity and invention with nothing beyond a 720 being permitted. 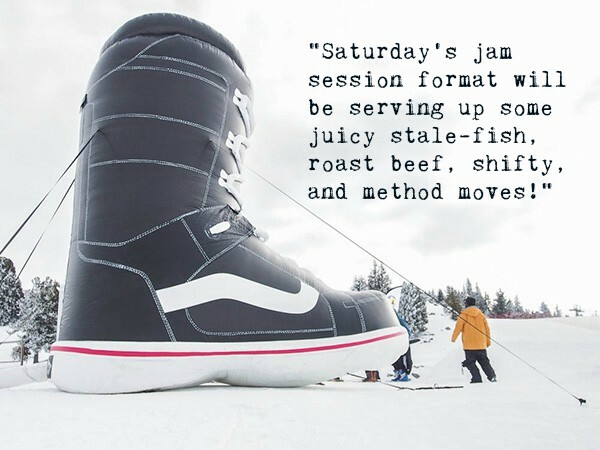 With 60k in cash prizes being dished out throughout the tour, I can say with confidence that Saturday’s jam session format will be serving up some juicy stale-fish, roast beef, shifty, and method moves. 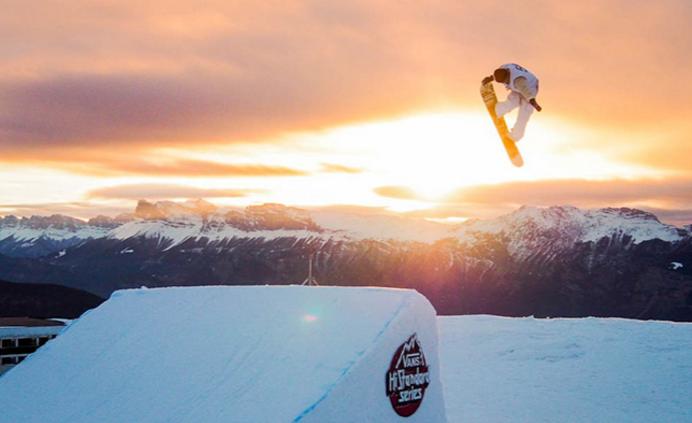 The marriage of a contest with snowboarding’s true soul at its heart and a resort whose commitment to its community and roots has been unwavering is nothing short of a match made in heaven. In true Vans fashion, there is something for the whole family to enjoy. Guests are welcomed to participate in an array of workshops that provide a hands-on experience in customizing shoes with real-deal Vans Artists in tow. In addition, members of the Vans Snow team will be out and about, satisfying the need to name drop for the best of us. No doubt we are more than stoked to join in the fun that this history making brand has made possible in our beautiful mountain town. The contest runs from 8am – 4pm on Saturday, March 19th at Sierra-at-Tahoe. Join us in celebration of a legendary 50th year and snowboarding’s best years of style and rebellion. SnowGlobe. Love it? Hate it? Let’s debate it. Due to the recent proliferation of Tessie related sighting and attacks, TTJ investigates the truth behind Tahoe's most notorious legend.